A 30 minute flight out of Belfast and the team are in Edinburgh to race at the Scottish Short Course Nationals. This is a notoriously fast early season meet and the whole purpose of travelling is to race faster in the heats than in the Irish Nationals last week. 1st up on the 1st day is Conor Brines in his 1st competitive outting of the season. The 100 fly produced some incredibly fast swimming and Conor swam a solid race to place 4th going into tonight’s sessions. Then Danielle produced her fastest ever morning swim in the 50 Back to qualify for the B final. Finishing off the morning heats Danielle raced the 100 Free swimming a time half a second faster than this time last week. The swimmers outside the top 40 entered athletes complete their heat swims in the afternoon session. Lui Finn and Ruairi all started their meet off with the 50 Free. both Lui and Finn swam PBs and clocked times that would have placed them in the mornings faster heats. 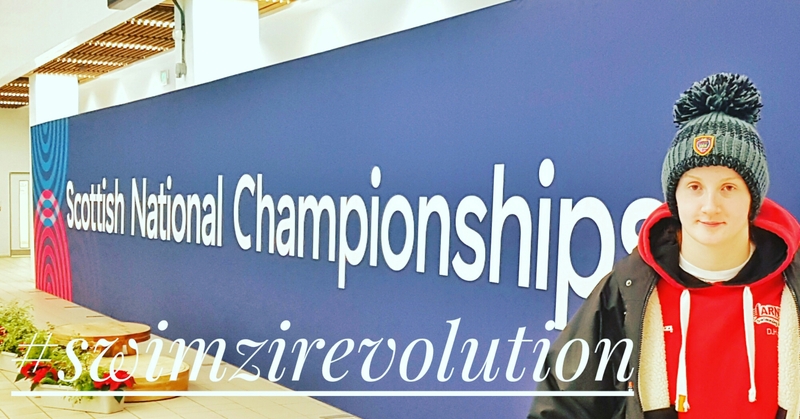 Lui’s second swim of the session was the 400FS and a huge 10+ second PB saw him once again post a time that placed him 29th overall, an improvement of 15 placeso. What a 1st night of finals this was, Danielle recovered from a slight error in her 50 BC to post a very respectable time. Then Conor Brines stole the show with an incredible Irish Senior Record in the 100 FLY becoming the 1st Irish person to break 53 seconds. Danielle continue to show progression from last week’s Irish short course in both her events qualifying for the 50 Free final and the 200 BC within 10 minutes of each other. Conor swam his ‘fun event’ the 200Fly producing a best heat swim and Qualifying for the evenings session in the process. Finn, Lui and Ruairi were back in action again with the 100 FStreet for them all and Finn in the 50 BC & Lui in 200 IM. The Finals session on day 2 and, after taking on the advice from the sport NI physio we only had Danielle’s 50 free to look forward to. In 2003 Julie Douglas (now johnston) set the Irish Record for the 50FS making it one of the older records on the books. (It is also the 2nd oldest Ulster record) putting together an almost textbook swim D.iesel got her hand on the wall in 25.64 seconds shaving 0.01 off Julie’s mark and in the process becoming the fastest Irish female in history. The last day of racing and Danielle (200Fly & 100 BC) & Conor (50FLY) both back in the pool. Danielle was next up in the 200FS and she didn’t disappoint posting a time of 2:02 nearly 4 seconds faster than the heats this time last week qualifying for her fourth fin all this weekend. The whole reason for coming to Scottish Nationals was to step up and race hard in the morning session. I think this weekend, and in particular this last morning, shows that even tired, in full training #teamlarne🏊 athletes show they are ready, willing and able to do just that. Lui and Finn completed their weekends racing with the 200FS & 100BC respectively. 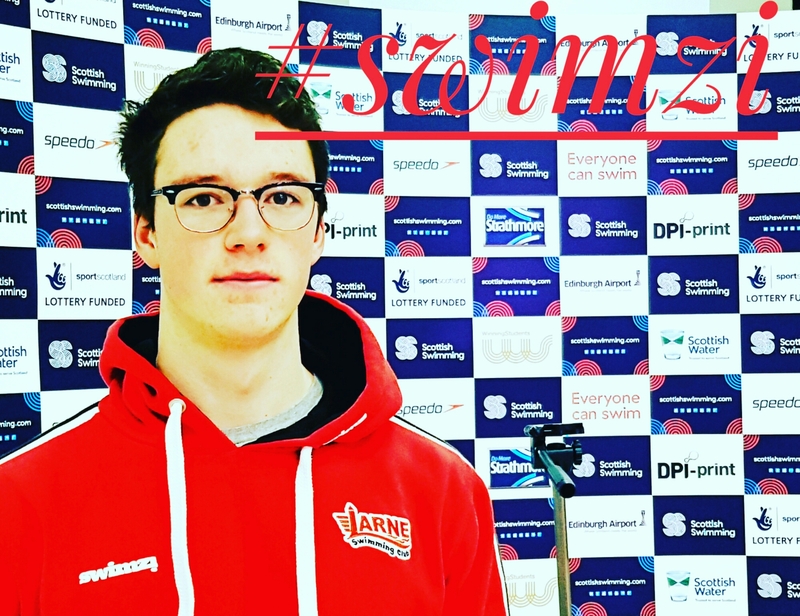 Last session of the meet and again Larne had representation in the form of Conor Brines in the 50FLY and once again he rose to the occasion and produced a phenomenal swim to take the Gold in a time of 23.38 equaling the Irish senior Record held by Barry Murphy. Unfortunately Danielle wasn’t able to compete in the last 2 finals of her weekend due to flight times home. Thank you Scotland for a fantastic weekend of racing. so we’ll organised and welcoming we will definitely be back.